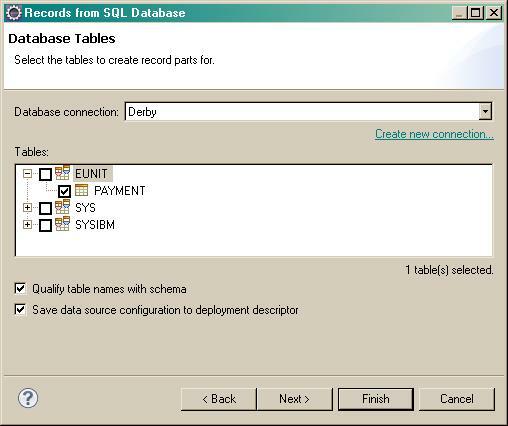 Difference between revisions of "EDT:Tutorial: RUI With DataBase Lesson 3"
To start the Derby server, left click on selection Start Derby Network Server from the Derby menu. From the file menu, left clink on New and select the Connection > Connection Profile. Left click on Test Connection. Make sure you get a successful response. Left click on Next to see a summary of the connection information. Make a note of the server URL for future use and left click on Finish. 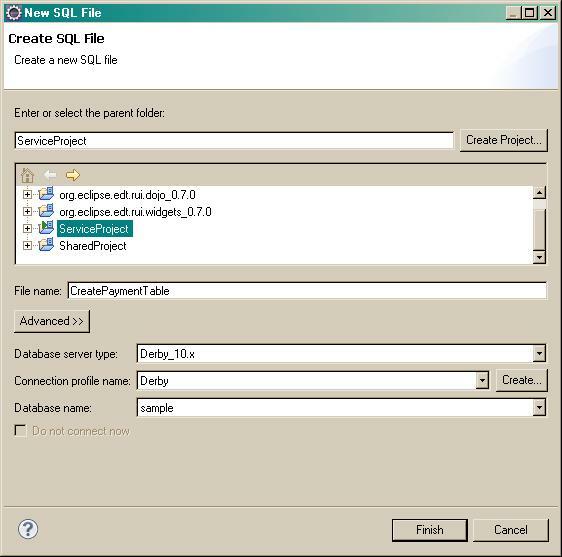 From the file menu,left clink on New and select the SQL Development > SQL File wizard. On the Create SQL File window, enter SQL file attributes as shown in the image below. 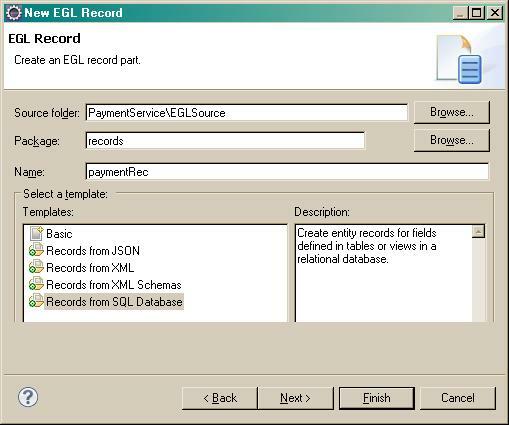 From the file menu, left clink on New and select the EGL > Record wizard. 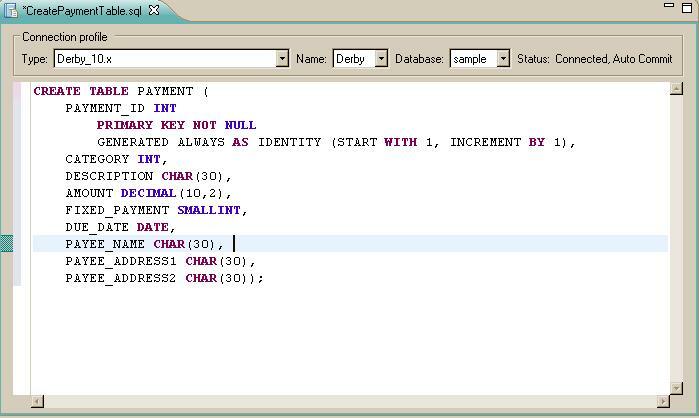 To generate the Java code that is appropriate for the SQL operation, the EDT Java generator uses the Table, ID, GeneratedValue, and Column annotations. The type for fixedPayment has been changed from smallInt to boolean. This change will be useful during a later drag-and-drop operation when definining the user interface. The EGL generators know that the database uses smallInt for boolean values.